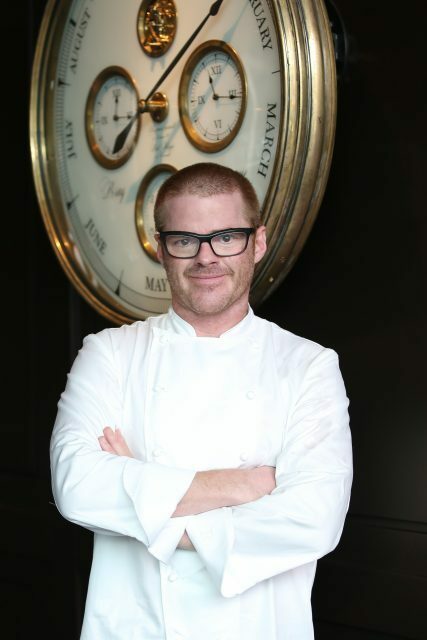 Molecular gastronomist Heston Blumenthal has been accused of underpaying chefs by as much as AUS$30,000 each per year due to hundreds of hours of overtime going unpaid at his restaurant in Melbourne, it’s been claimed. The accusations came to light following an investigation by The Age and Sydney Morning Herald which revealed Blumenthal’s restaurant empire to be one run through a series of offshore tax havens, and also substantially underpaying staff at his Dinner by Heston in Melbourne. The Hospo Voice union based its estimates on the assumption that chefs were working on average about 20 hours per week unpaid, based on a standard 40-hour working week. Many chefs say that some weeks they were in fact working up to 40 hours unpaid at the restaurant, with some saying they regularly worked 70 hours per week, and over the busy summer period around 80 to 90 hours. As reported by the Sydney Morning Herald, according to estimates, two chefs working at the restaurant were thought to have been underpaid $20,000 to $25,000 a year, while another received $30,000 a year less than was worked. Overall, the investigation claims that Dinner by Heston could be underpaying its permanent chefs up to $1 million a year. Australia’s Fair Work Ombudsman is now looking into the issue and has called on workers with concerns to contact it with their stories. ”The Fair Work Ombudsman is conducting enquiries into this matter and it is not appropriate to comment further,” a spokeswoman said. A culture of working overtime for little reward is not uncommon in the hospitality industry, with United Voice Victorian secretary Jess Walsh calling the ”scam” of excessive unpaid overtime an ”open secret” in the top end of the industry. ”We are calling on the Ombudsman to send the strongest possible message that the use of salaried arrangements to steal the wages of hospitality staff will not be tolerated,” she said. They also stressed that these allegations relate only to Dinner’s Melbourne location, and that its employees in London do not work unpaid overtime. Blumenthal’s international restaurant business also uses tax havens, including at its world famous The Fat Duck in Bray, UK. The businesses are routed through the Caribbean island of Nevis, where non-resident companies pay zero tax on their worldwide earnings.